In December we shared BitPay’s plans to process payments on multiple blockchains. Today we’re introducing the next step, and we’re starting with our BitPay Visa® Prepaid Card. You can order a BitPay Card for $9.95 and pay with Bitcoin Cash, and you can load your card with dollars using Bitcoin Cash. The BitPay Card is a Visa® prepaid card that you can use at Visa® -accepting merchants online and in person. Since we introduced the card, you have been able to load it with a dollar balance via BitPay. With our BitPay mobile wallet app, your load transactions can happen in just a few clicks and a swipe from your smartphone. 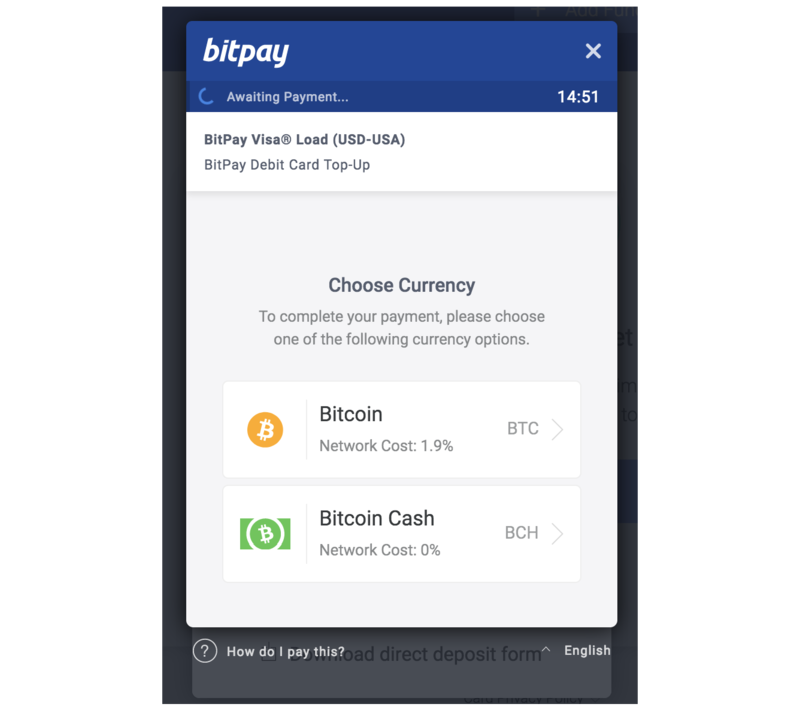 With the addition of Bitcoin Cash support, you now can load your BitPay Card with dollars using either Bitcoin (BTC)** or Bitcoin Cash (BCH). These two blockchains have differing exchange rates, network fees, and confirmation times. You can do a side by side comparison whenever you are making a payment so you can decide which payment method works best for you. You and BitPay Card users like you will be the first BitPay platform users to get access to our Bitcoin Cash payment processing. We look forward to your feedback as we prepare to introduce Bitcoin Cash to BitPay’s merchant processing platform. For US Residents: The BitPay Visa® Prepaid Card is issued by Metropolitan Commercial Bank, member FDIC, pursuant to a license from Visa, U.S.A. Inc. “Metropolitan” and “Metropolitan Commercial Bank” are registered trademarks of Metropolitan Commercial Bank © 2014. Use of the Card is subject to the terms and conditions of the applicable Cardholder Agreement and fee schedule, if any.